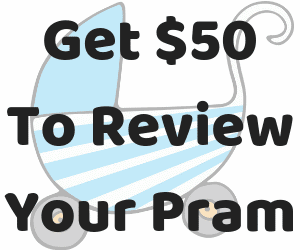 I was recently sent a Panda Carrier to review. I have to admit I haven’t ever used a very structured “hiking backpack” style of carrier. I’ve previously used softer styles of carriers like wraps, slings and soft structured carriers… but never one of these. Well, never as an adult. I practically grew up in one as a child. I still remember falling asleep with my face against my father’s shoulders and waking up with my cheek in a wet patch of drool on his shirt. 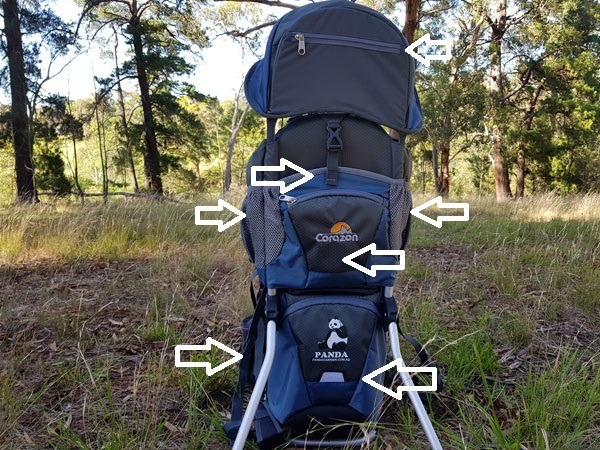 While the Panda Carrier is very similar to the one I grew up in, the Panda Carrier obviously includes 30 years of extra innovation. So it does look quite different to the old fashion contraption I was raised in. And I’m still talking about my childhood one of the best things about the Panda Carrier is it has stirrups for your child’s feet. As well as my memories of drooling on my dad, I also vividly remember getting pins and needles in my feet and legs from having them dangling for hours as my dad hiked. If it was really uncomfortable my dad would actually carry my feet in his hands to give me something to push against so I wouldn’t get sore. The things we do for our kids! So with the adjustable stirrups your child can comfortably rest their feet while you walk. Also, unlike the carrier from my childhood, if your child falls asleep in the Panda Carrier there is a cushioned headrest for them instead of them face planting your back. The headrest has a removable, washable, soft cover. I feel like whoever designed this has also been drooled on by a sleeping child. The Panda Carrier isn’t suitable for young babies – your child will need to be sitting independently before you can buckle them into the Panda Carrier. It has a solid weight limit of 20kgs, and will fit a child up to 127cm tall. Or approximately 4 years old. So even though you won’t be able to use a Panda Carrier with a newborn, you can use the Panda Carrier for a lot of years. It’s also quite adjustable to suit the height of the parent. Fitting adults from 152cms to193cm tall. 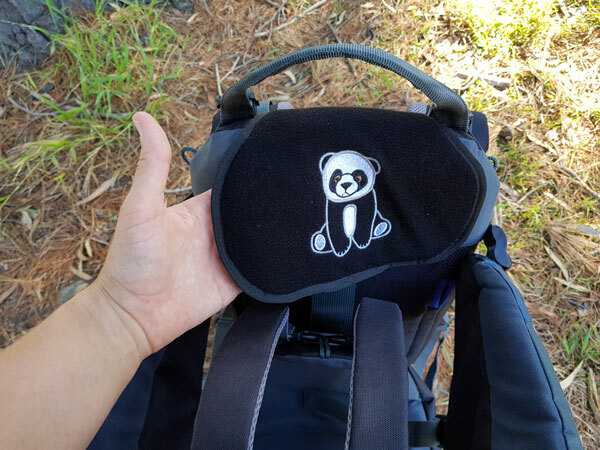 Panda Carriers seem best suited for hiking and travel. They’re designed for wearing for a long period of time. This isn’t the soft carrier you have squished up in the bottom of your pram in case baby wants up. Nor is it something you’d use around the house. The Panda Carrier is for serious walking. And it will take you places that your pram cannot. 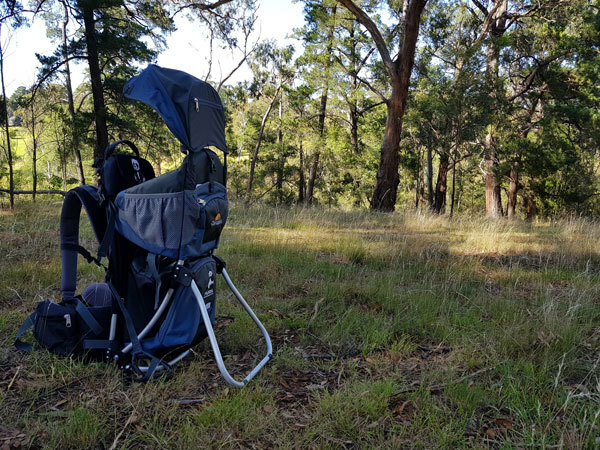 So it’s great for bushwalking and may also be a great alternative to a pram for traveling. There is no skin to skin contact in the Panda Carrier. Which isn’t necessarily a bad thing with an older child. 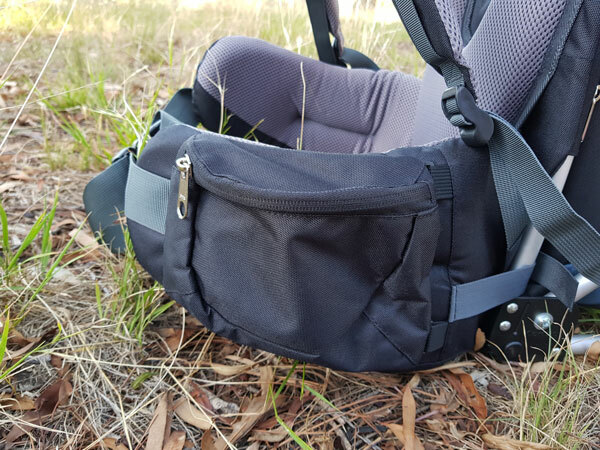 I actually tested the Panda Carrier out with a friend’s 3 year old on a hot, humid day and really appreciated that we were not in direct contact. For comparison I also slung the kid up on my back in my Toddler Tula. The Toddler Tula does have skin to skin contact, which instantly resulted in hot, sticky, sweat sharing. So the Panda Carrier is A LOT cooler. Especially as quite a lot of the fabric that is in contact with you or your child is sports mesh for extra sweat wicking. And as well as that it has a sunshade to help protect your child from the elements. Also for cold weather I assume it would also be easier to layer up for both parent and child. Because you are separate from your child, rather than being strapped to your body. So it would also be easier to put on jumpers and coats, without them becoming scrunched and tangled up. 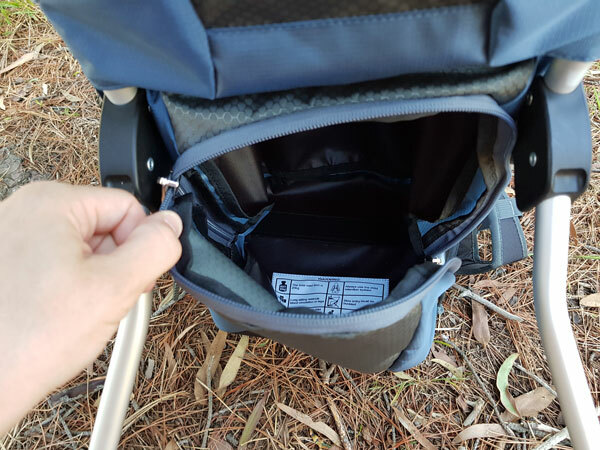 There is a flat pocket directly behind your child’s back that is a perfect place for things like the carriers instruction manual, and any paper maps or brochures you might be carrying on your trip. Over that pocket is a small, zippable pocket that would be ideal for keeping small valuables such as your keys, wallet etc. Alternatively there is also a “bum bag” pocket on the waist band for keeping essential items in easy reach while you’re walking. Under your child’s seat is a large pocket that would easily hold a “nappy bag” worth of stuff. Nappies, wipes, changes of clothes, lunch, and whatever other things children seem to need you to cart everywhere with them. Finally there is a tiny, thin, pocket in the sunroof. Though I’m not entirely sure what you’d keep in there. Maybe something small and light like a spare dummy. But really the only limit on how much stuff you can store in the Panda Carrier is how much you can actually lift and carry yourself. When I watched the instructional video the first time I felt a little bit overwhelmed by it. I thought it looked all a bit too complicated for me. However once I actually picked up the Panda carrier and went through the steps in the video a second time, it really is simple. You’re just adjusting the length of the back to fit your torso, and then tightening and adjusting the straps until you feel comfortable. 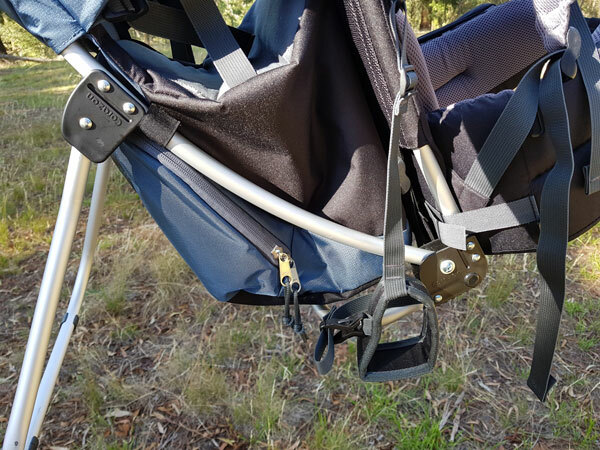 You also need adjust the height of the seat, length of the harness, and the length of stirrups to suit your child as they grow. This was the part I was most nervous about, because I’m not used to using this style of carrier. Though it’s funny how people have different ideas of what is “comfortable” and “safe” for them. Because a friend had a similar carrier to the Panda Carrier and what she loved about it is the fact you put the child in the carrier, buckle them into it securely, and then lift the carrier onto your back. That seemed easier and safe than flinging your child onto your back and then pulling the carrier up over them. As you do with a soft structured carrier or woven wrap. You basically just put the carrier on like it’s a regular hiking backpack. Though I’d give the same advice for lifting and putting a Panda Carrier on your back the first few times as I would for any other carrier. Until you’re confident doing it yourself try it in front of a mirror, near a soft surface, with someone nearby to catch if you need. That said I had no problem doing it myself the first time even loaded with up a three year old. But it did take some upper body strength to actually do the lifting. I was surprised by how light the Panda Carrier feels when it’s on because they look very bulky and heavy. Once I had it all adjusted, fitted correctly, and tightened with my friend’s approximately 16kg child on my back, it actually felt pretty comfortable. The weight felt evenly distributed across my hips, back and shoulders. 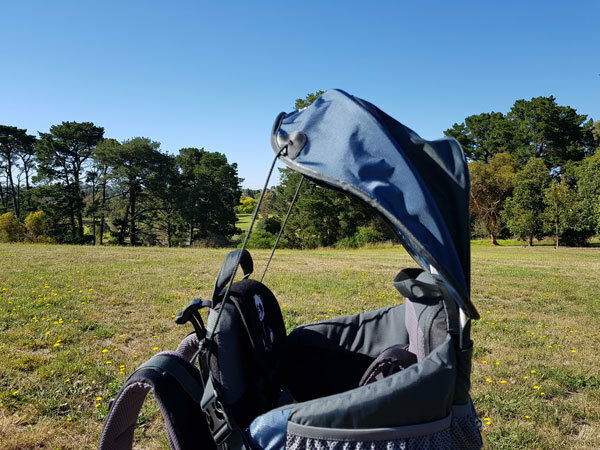 I did feel a little bit of backwards drag when I was just standing with the carrier, compared to using a carrier where the child is pressed against your body. But I felt more comfortable once I got moving. I think the forward momentum actually helped balance the weight on my back. However, I suspect if we’d had the Panda Carrier when our kids were little my partner would have carried them a lot more. I think he would have liked having something that was adjusted and fitted to him, that he could then just buckle our kid into, lift it onto his back, and walk out the door. When he tried on the Panda Carrier his first words were “That was so easy”. 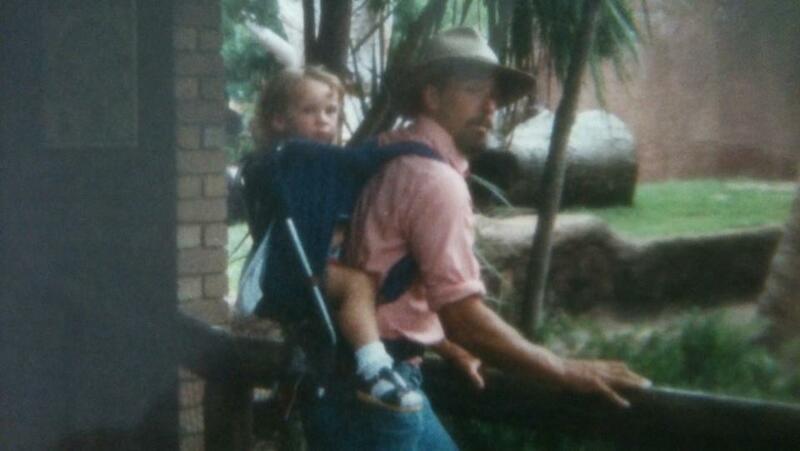 Whereas he never quite got the hang of using a soft structured carrier on his own. I’d have to load our babies up for him, especially if he was wearing them on his back. And I don’t want to gender stereotype too much, because my partner did happily wear our daughter in her pink Toddler Tula… but I suspect he would have preferred the Panda Carrier as a more tough, rugged and seemingly “masculine” style of carrier. Also if you’d like to see some of the features of the carrier in action please watch the video below! And if you have any questions please don’t hesitate to ask! Sigh…baby carriers…seems so long ago now! The advances in design since I had my Baby Bjorn 8 plus years ago is astounding! So true. I started with a baby bjorn 9 years ago now because it was basically all there was in baby shops. Now there’s just so much more options and innovative. I didn’t have a hiking carrier but this looks great for that sort of thing- I used to take the Tula geocahing but that was a s close to hiking as I got! That’s so good that it’s easy to put on your back! My son is only 4 months old so I haven’t tried that method yet but it mystifies me! My daughter pretty much lived in a carrier for the first two years of her life. Love them! Same. Lol. 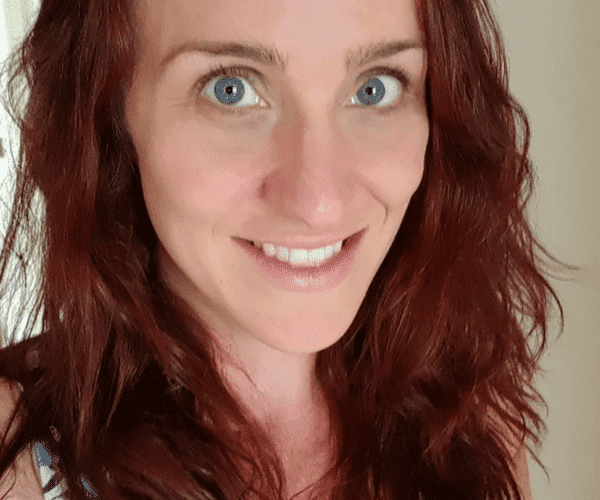 My kids both were strapped to my body more than they weren’t for the first couple of years of life. ? 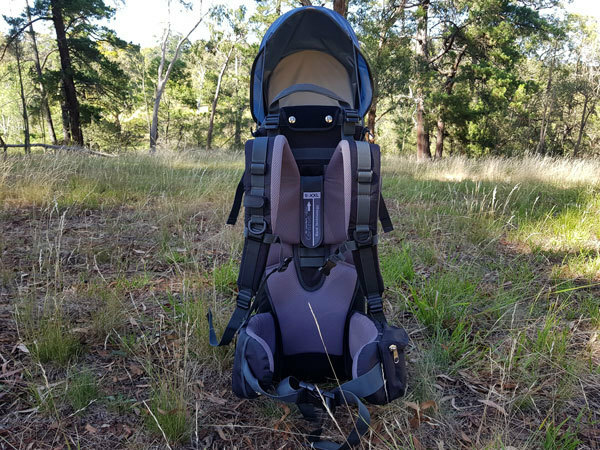 I’m more of a hug-a-bub and ergo carrying mum, but I could definitely see hubby using this when we are off travelling & exploring new places or bushwalking & waterfall hunting. Exactly my thoughts. It’s not really for me, but I think my partner would have used it. 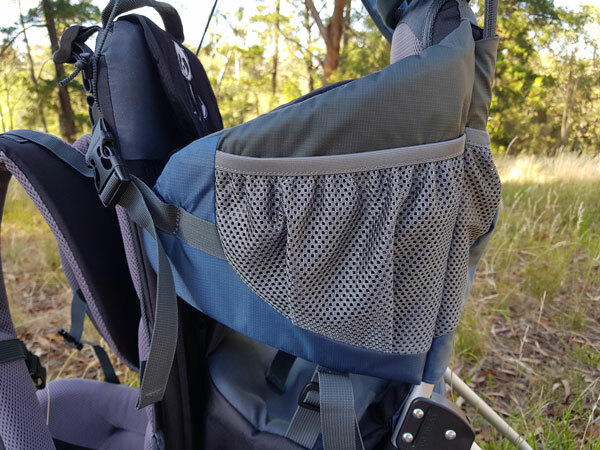 I love baby wearing – this looks like a great carrier! Love the anecdote too ? Haha, that’s a very important feature!